To help you prepare your expatriation in Manila and know more about the city, this guide has been made for you. You will find all the necessary information about moving, living and working in the capital of the Philippines. Manila is the multicultural capital of the Philippines that was founded by the famous explorer Miguel Lopez de Legaspi on June 24, 1571. 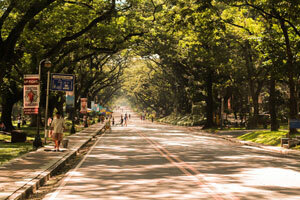 It is a city within the National Capital Region or also referred to as Metropolitan Manila. Its population is considered to be the second largest in the nation with a total of 1.78 million inhabitants that is composed of both local and foreign nationals. Manila’s tropical climate has a dry season that runs from April to May and a wet season that lasts from June to October. Filipino is the official language in the Philippines and is widely spoken in Manila. Because of the growing number of foreign nationals in the city, the locals also became fluent in English, Korean and Chinese dialects. The cost of living in Manila is still cheaper compared to other capital cities in South East Asia. However, the rental fees still vary depending on which area you live and can be quite expensive in gated communities or high-end apartments. The city has gained the name of ‘Imperial Manila’ since it serves as the nation’s capital of business, economics and politics. Most large corporations, businesses and government agencies are also situated here which makes it one of the most important cities in the Philippines. Expats and tourists going to Manila will not run out of famous destinations to visit. Located in Ermita, you will find the infamous Rizal Park (Luneta Park) which is a historical landmark built in honour of the national hero Dr Jose P. Rizal. Facing it is Intramuros or also known as the Walled City which was the original city of Manila when the country was still under the Spanish Empire. Manila stood as a witness to what could be defined as the country’s most turbulent and darkest time when the former President Ferdinand Marcos publicly declared martial law on the 23rd of September 1972. Extra-judicial killings, political abductions and violation of human rights especially to those who opposed the administration were all reported during Martial Law. On February 25, 1896, the Filipinos gathered to bring down the dictator in the historical event called Edsa People Power that put Corazon Cojuangco Aquino as the first ever female president of the Republic of the Philippines.